Could the simple act of writing down what you ate and how you worked out help you lose more weight? More and more studies say yes.Researchers are seeing more success with diet programs that offer a variety of tools that work together—a specific diet plan, group sessions or coaching with a health expert, and journaling. Diet and exercise plans that give patients specific direction and that are easy to stick with are the ones that will provide the most success.1 Getting patients to stick with them is where coaching and journaling are most helpful. 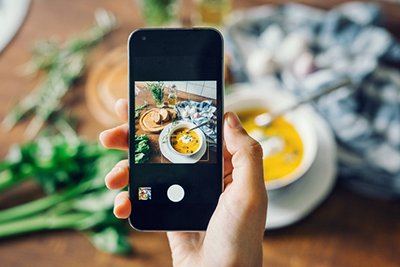 When patients record what they eat, they become more aware of how their actions affect their goals. With this new awareness, and knowing that they will need to write down what they ate in their journals, they are more likely to make healthier choices that lead to more weight loss. In a separate study, patients attended weekly group sessions and were instructed to follow a restricted calorie diet, exercise moderately, and keep journals. Which journal is better: paper or digital? While even a short paper entry can make a positive impact on weight loss results, patients may find using a digital format more effective. An app installed in a smart phone is smaller and more portable than a paper journal. Because most people bring their smart phones wherever they go, there’s little chance of not having the journal available to record entries while you’re on the go. And apps typically have simple checklists or short text fields ready to easily record your food and water intake, as well as your movement and mindset habits. Participants that liked journaling in their electronic device said that it was because it was portable and socially acceptable—they could record what they ate in public without having to let other people know that they were doing so. Keeping a journal helps patients build the self-awareness muscle needed to comply with their plans. The act of recording what they eat and how they exercise gives them a clearer picture of how their actions and behaviors are impacting their health. When they can correlate the lower number on the scale with their daily meals, that success will help reinforce their new, healthier habits. When you combine an interactive journal with regular support and feedback from a coach, you can get even better outcomes for your clients. MBody360 lets you get a clear view into how your patient is doing in between your coaching sessions. As they add in details of what they’ve done each day, you can see into where they are doing well and where they need extra help. It also makes connecting between sessions easier. Your patient can message you directly through the app when they have questions, and you can give them quick feedback as soon as they need it. And, you can customize the automated reminders that you send to them so that they are more relevant to their needs and goals. All of which can give your patients a better overall experience—and make you a super-star coach that gets results.